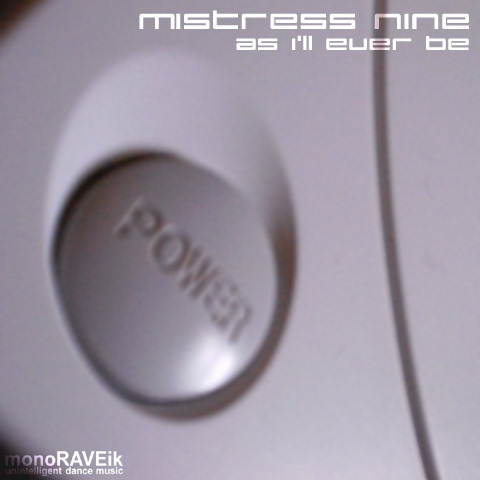 As if to prove that the first release wasn’t a flash in the pan, monoRAVEik’s new find Mistress Nine returnz with something just a little sparser than the last time, but no less effective nonetheless. Stripped-down industrial jump-up is the name of the game, and our Welsh siren is more than equal to the task. Harsh snares and a commanding vocal sample covered by an all-conquering bassline make this track one to be played loud, for there is no other way. Apart from her DJing antics amongst the valleys, Nine fills her time in being worshipped as a fertility goddess by a tribe living in secret solar-powered homes on Natural Trust land. We’re not making this up, we swear. We believe what we’re told. Nine? Are you lying to us?